Data, Data, Data – Data is everywhere! How are you able to manage it all? Do you use Excel? Power Query? SSRS? Tableau? Qlik? Cognos? Is the right information getting to the right people? Are they able to interact with it? Do they have to request a report from a specialized group of folks that will get back the information when they get to it? Is your critical business informational data sitting in undecipherable rows and rows sorted in columns and columns of numbers and text that make your eyes glaze over? EPM Strategy is here to help you with all those issues. We are certified in Power BI – the latest and fastest growing visualization tool for business intelligence. 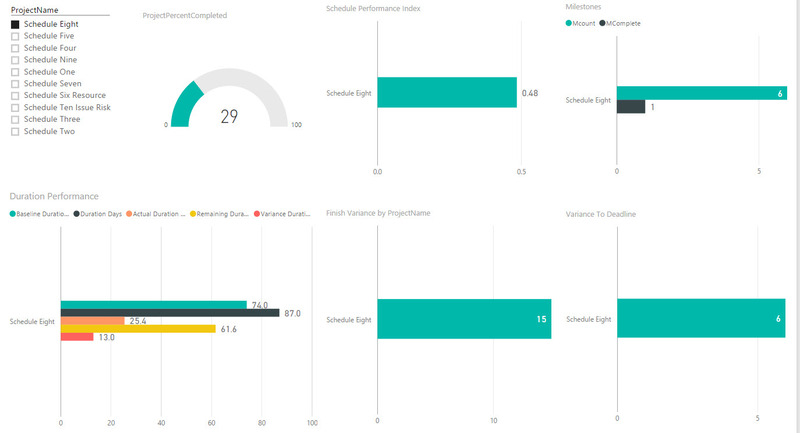 Power BI is a suite of business analytics tools to analyze data and share insights. 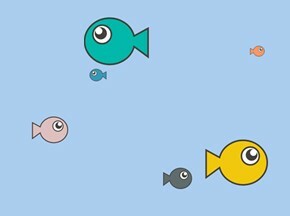 Power BI allows you to interact with the data in a visual manner. Data and all of your information no longer has to reside in huge black and white rows and columns! Being able to see your data in visualizations allows for you to have a deeper perspective of trends, current situations and opportunities that are not as easy to determine when looking at a plain spreadsheet. 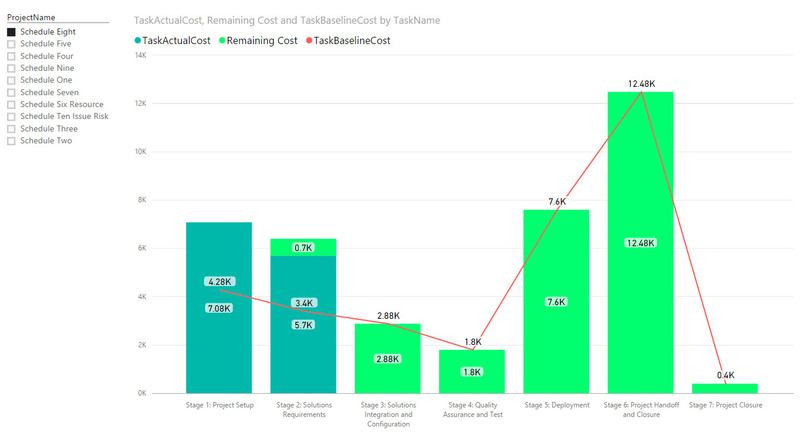 Power BI allows for data to be sliced and diced based on the needs of the users. 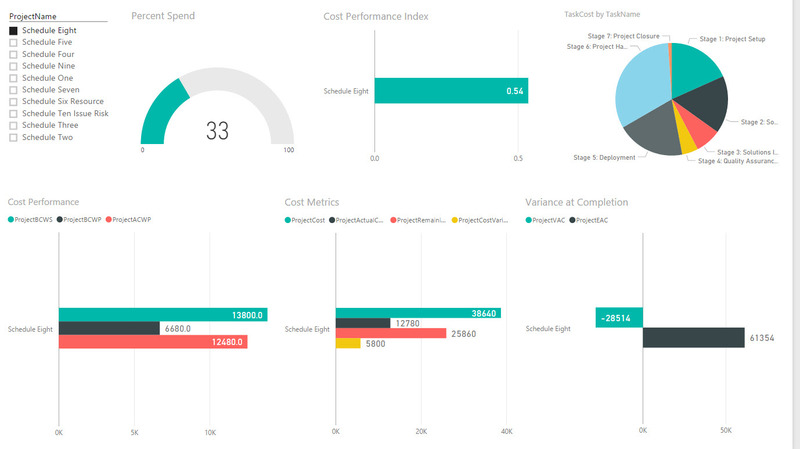 You can now deliver the data that is needed in a very visual and easy to understand manner. 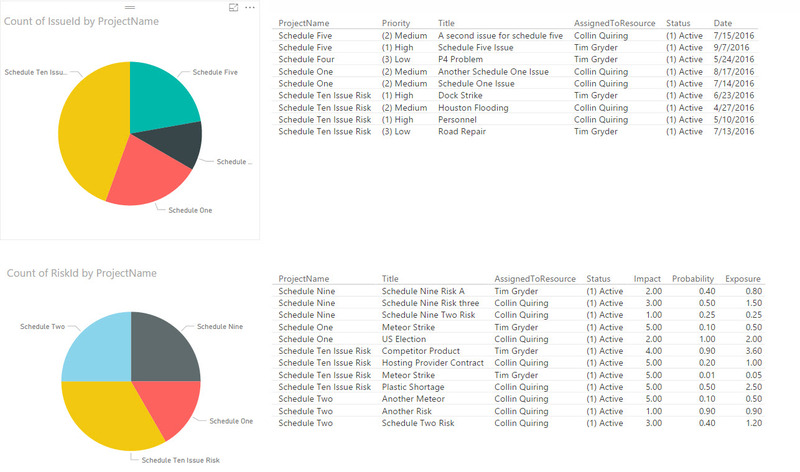 And, Power BI integrates with almost any type of data you have and where you have it. Power BI is designed to provide a comprehensive end-to-end business intelligence analytical ability for almost every tool that you are already using. 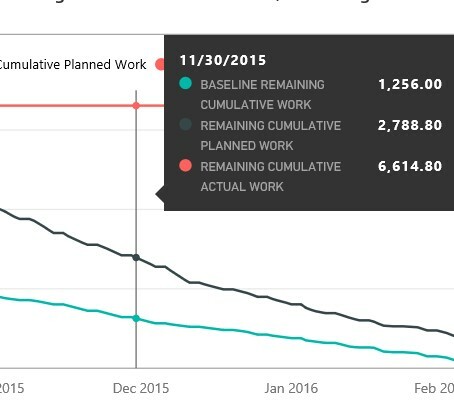 This is a simple image of a schedule’s Work – the Remaining Work, Baseline Work Remaining and the Cumulative Work expended. And, you can hover over it at any point in time to get a more detailed overview. EPM Strategy can help you turn your data into action. Contact us here today!